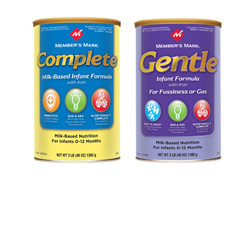 Get a free infant formula sample from Member’s Mark® Complete or Gentle®. Simply fill out a short form. This is supposed to be enough for one day. I am donating mine to the food pantry, since we don’t use formula & they always have a shortage.